As you can imagine, we instantly fell head over heels for this collection when we clicked on our shop bop email yesterday!!!! 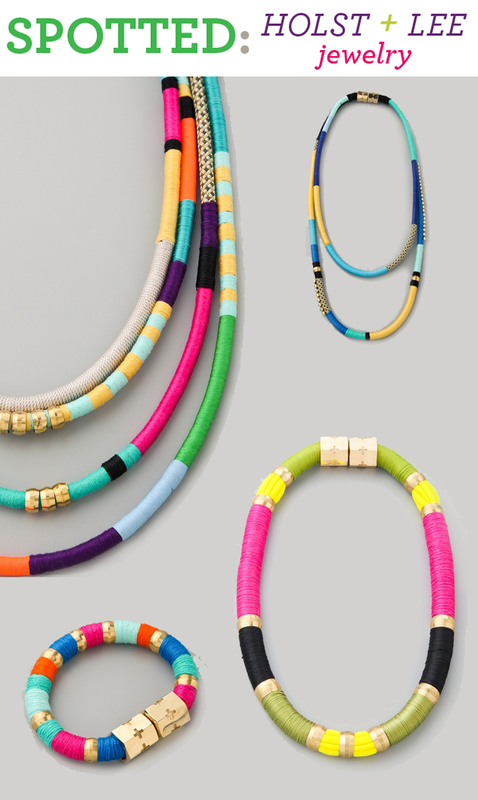 We're suckers for bright colors (including neon, obviously), stripes and bold statements, so this mixed media, tribal-inspired jewelry line by Holst + Lee is something we only could have imagined in our dreams--but it's real!! And, not to mention these are all designed by two gals (we heart other two-person-design-teams!). Now go get yourselves some!